Postcard: information about “M-PEC Lesson + General Meeting” to the potential members living around here from abroad. This postcard written in English was posted to several people living around here from abroad on Saturday, March 23rd. Yoshy hopes Japanese members of Myoko Powerful English Club (M-PEC) will introduce this blog or/and the website below. 葉書の内容は、以下の通りです。The content is as follows; scroll down, please. 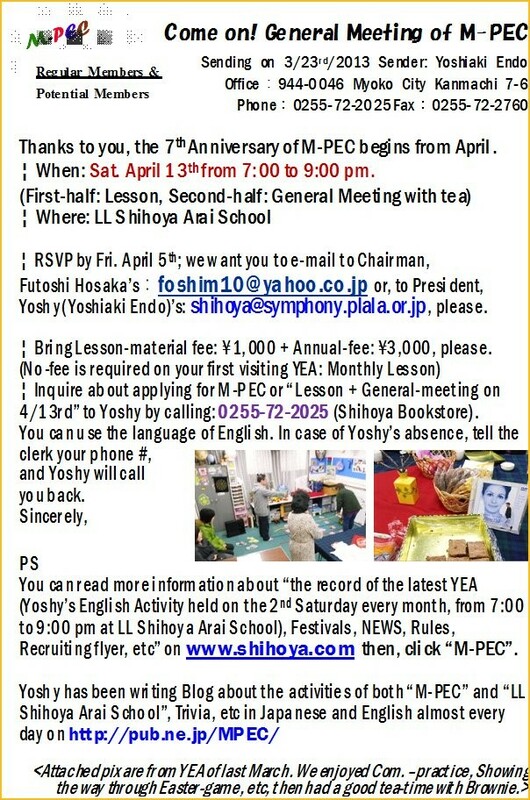 Thanks to you, the 7th Anniversary of M-PEC begins from coming April. 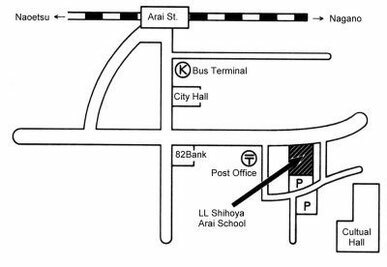 RSVP by Fri. April 5th; we want you to e-mail to Chairman, Futoshi Hosaka’s：foshim10@yahoo.co.jp or, to President, Yoshy (Yoshiaki Endo)’s: shihoya@symphony.plala.or.jp , please.